Catch the craze and stock up on replacement chain for these popular fun vehicles. Meets ANSI & ISO Standards. Top Quality. Other popular sizes of roller chain are listed in the table below. 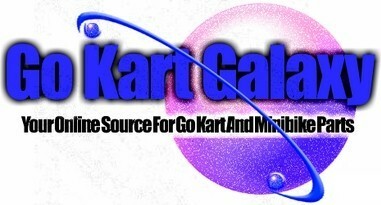 They are used in Quarter Midgets, Concession Karts, Jr. Karts, Jr. Dragsters, and other chain driven applications. 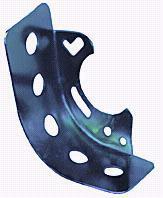 This deflector is universally adaptable to all small engines that have a 4 bolt mounting pattern on the crankcase. 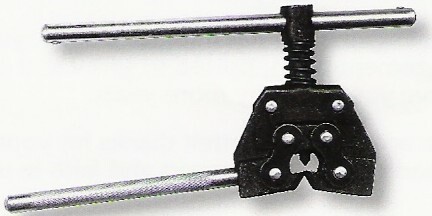 This guard will prevent chain that is broken from flying by diverting it to the ground. Fits both Briggs and Tecumseh engines. Made of strong, lightweight steel, it has a black oxide finish and is value priced. 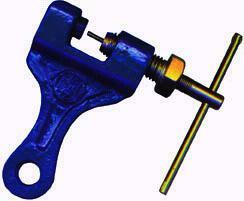 High quality punch tool for driving roller pin from link. Part 4899 is for #35 thru #530 chain. Part 4097 is for #25 thru #60 chain.